If you’ve noticed celebrities sporting short bobs one month and flaunting surprisingly generous flowing locks the next, you’ve glimpsed hair extension magic. Now’s your turn to live your Rapunzel fantasy by adding length and fullness to your tresses without waiting impatiently for natural growth. Do-it-yourself makeovers start with choosing I-tip hair extension options for luxurious length and volume. Then learn how to use cold fusion with nano rings and no heat to attach and adjust your new strands. 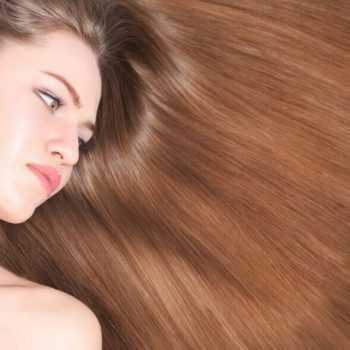 Finally, follow basic hair care tips to prolong your enhanced look. Colors: Complement your own hair color and/or add highlights in one or more tints. Every natural shade from black to blonde comes in darker to lighter variations. Unless you want to display dramatic differences, pick a tone that matches yours closely. 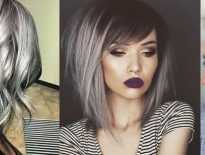 Length: Are you nervous about a drastic change from short to long hair? Then start with a conservative length you’re comfortable wearing instead of an excessive one. Even if you’re eager to make a bold statement, be a little cautious. Choose a length that’s suitable for you and accentuates your unique physical features. Texture: From straight to curly, pick a texture that complements your own. Avoid combining extremes, or your extensions could look fake. Custom hair: AiryHair’s double-drawn extensions ensure that 90 to 99 percent of strands are the same length with thicker tips for extra volume. Our Remy premium plus also boasts uniform ends with properly aligned cuticles, minimizing tangles and increasing wearability. Each flexible I-tip extension contains about 20 to 30 individual strands. Application doesn’t require glue, chemicals, or heat, so this method is easy on your own tresses. 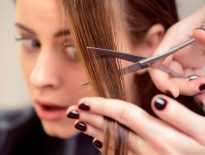 Instead, micro rings act as locks. Resembling tiny beads, they match your hair color to prevent visual detection. Part your clean, dry hair in horizontal rows across the back, securing the remainder on your crown with clips. Starting near your neckline, pull a single extension’s hook with a section of rooted strands through a ring. Slide it upward close to your scalp. Leave a little extra space so your enhanced mane can swing naturally. Squeeze the mini cylinder tightly with pliers to clamp it firmly in place. Repeat more clusters to finish your initial layer. Then add enough levels above the first to achieve your desired look. Leave your extensions alone for around eight weeks. During that time, your additions move downward as your own hair grows. Loosen each ring, slide every bundle up, and retighten its link to prolong wear and prevent breakage. Repeat that adjustment procedure after another eight-week interval to increase your AiryHair’s life to six months. Washing: Delay wetting your hair 48 hours after attaching the extensions. Dirt and sweat buildup can cause tangles. So unsnarl locks gently with a wide-tooth comb or soft-bristle brush, starting at the ends and moving up to your roots. Shampoo regularly, but not daily, in easy downward motions from head to tips. Avoid rubbing to hinder knots. Rinse well. Extensions can’t receive natural scalp oils, so apply a leave-in conditioner. Styling: Air dry hair delicately. Instead of rubbing a towel back and forth over it, pat it lightly in long downward strokes from top to tips. Comb or brush in descending motions to remove any tangles carefully. Begin with the ends and progress up your head. If you use a blow dryer, curling iron, or flat iron, set it on low heat. Brush your mane several times per day so the additions blend in with your rooted tresses. Hair products: Too much of any hair preparation may lead to tangling and buildup. Don’t use oily and silicone-based solutions near bonds, or loosened links could slip or come free. Skip alcohol-laden products to prevent drying effects. AiryHair extensions are 100 percent human locks, so you can color or perm them as you would your own. Exercise: Arrange your mane in an upswept style, ponytail, or braid during workouts. Keeping your updo above water or wearing a swim cap hinders matting and tangling from extensive saltwater and chlorine exposure. Shampoo and condition hair immediately after swimming. Sleeping: Be sure your hair’s completely dry before bedtime. Put it in a braid or ponytail to avoid tangling overnight.